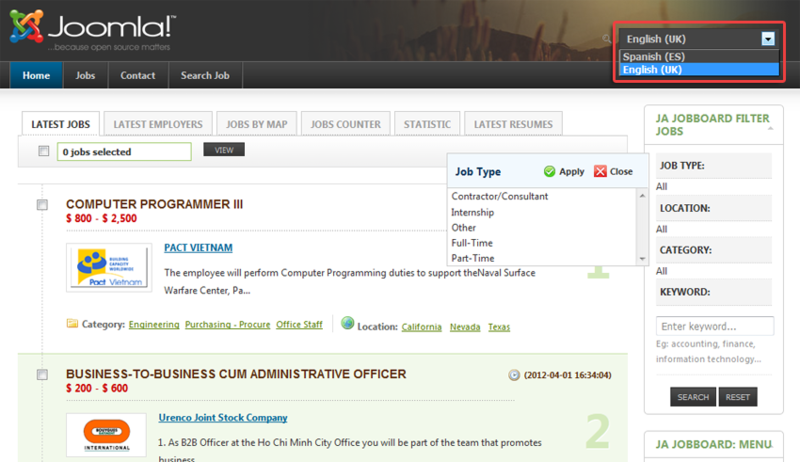 JA Job Board now supports multiple languages. This writing shows step by step instructions to configure multiple languages. 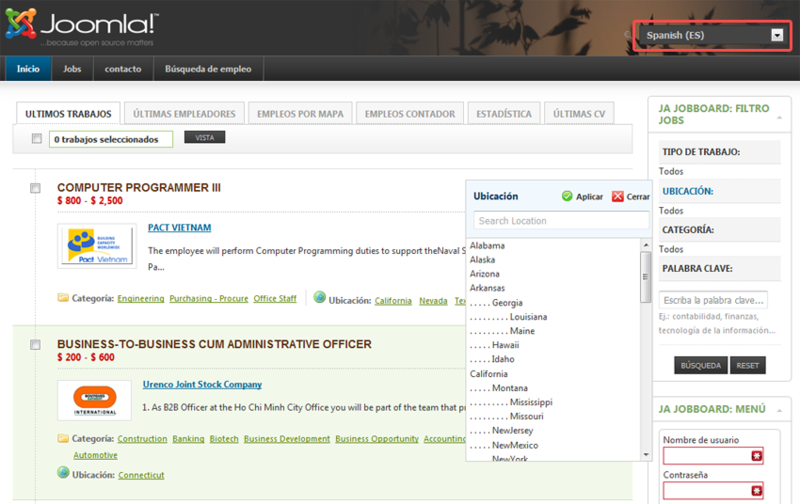 We use Spanish language in demo site, you can install any language you wish then configure the same as our instructions. From back-end of your site, go to: Extensions --> Extension Manager --> Browse your language package to install. 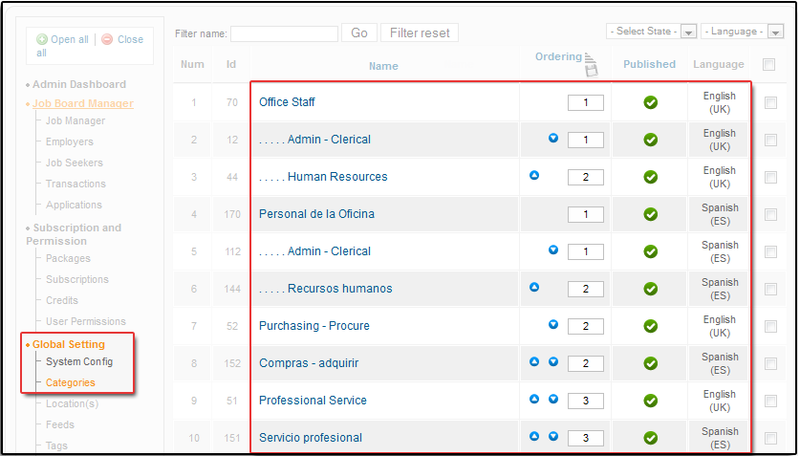 Navigate to language manager page (Menu Extension >> Language Manager >> select ‘content’ tab). Then create new language. Important: Language Tag of content language must match with Language tag of installed language. Some REFERENCES for you about creating menus for each language. In other words, you need to create Menu manager for each language. Each language should have an independent Menu Manager. All menu items created in a specific menu should be assigned to the same language or to language "All". One of the menu items —in only one menu— should be defined as default home page for this language. The menu items assigned to a specific language have to display contents assigned to the same language. In this aspect, Language "All" should be considered as any other specific language. Example : see the mainmenuen menu and its menu items, one of them being defined as default Home page (with flag). Result : we have at least one menu per Content Language which contains a menu item defined as default Home page + one menu assigned to Language "All". This last one will be chosen in an unpublished menu module assigned to Language "All". 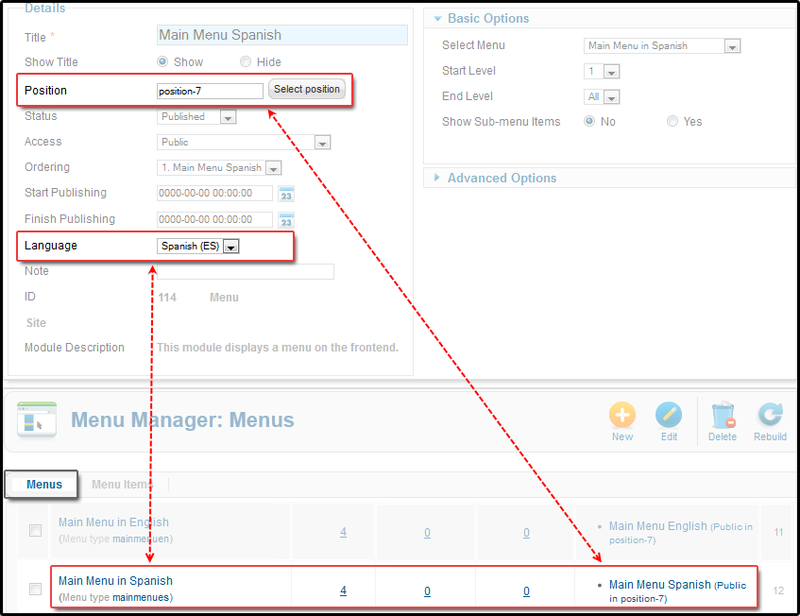 Now, let's view the menu items in Employer Menus in English menu manager. 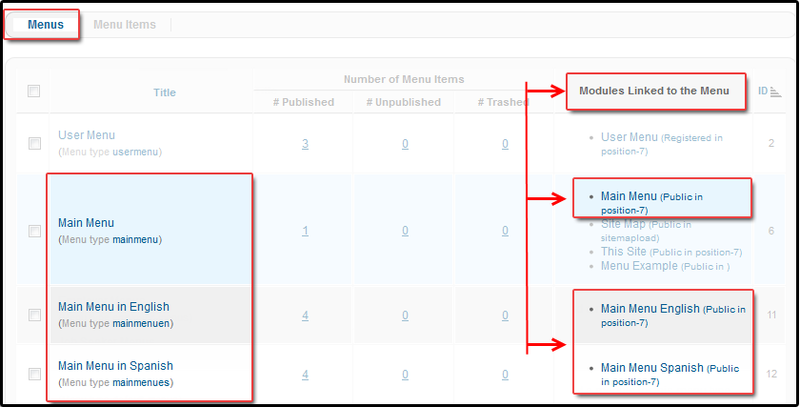 If you use template that is not based on T3 framework, you need create modules for each menu, and assign them in the same module position, but display in individual language. See above image of “Menu type for each language”. 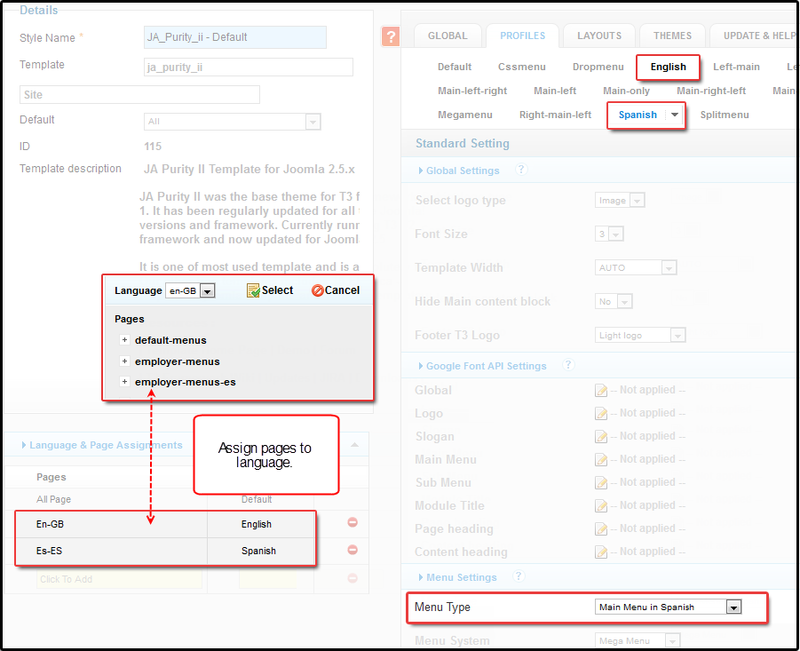 If your template is based on T3 framework, you need create profile for each language, then assign pages to languages. 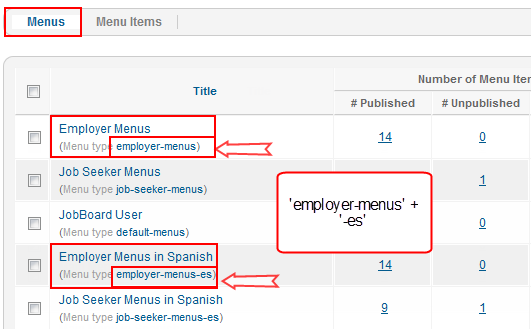 To translate Jobboard menu (Employer menu and Job-Seeker menu) for specific language, you need create a new menutype for that language which the name is combine of name of this menu type for all language and language suffix. 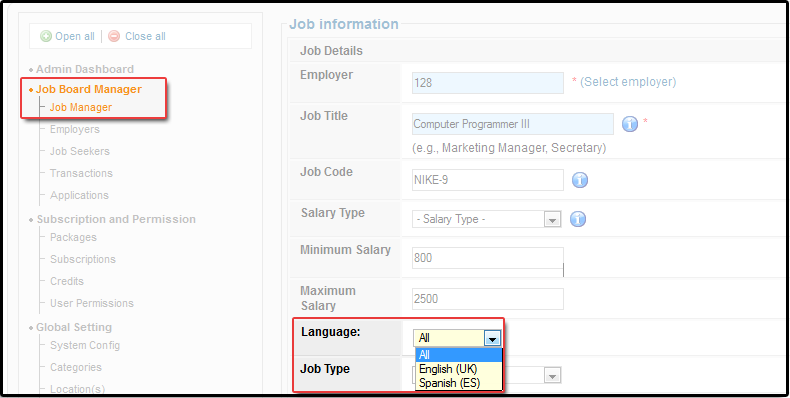 When you finish all steps in section 1: Install & Configured, we move to the next step: selecting a specific language for Jobboard item. The following list includes the Jobboard parts that support multiple language. You can create default subscription for each language, but it still require default one for all language. To assign language for Subscription, open the subscription then assign language for it. Open the edit form of Job then set language for it. Open the edit form of category then set language for it. When done, you will see the categories with assigned language as the image below. Open the edit form of credit then set language for it. When done, you will see the credits with assigned language as the image below. Open the edit form of Location then set language for it. When done, you will see the locations with assigned language as the image below. Open the edit form of package then set language for it. When done, you will see the package with assigned language as the image below. 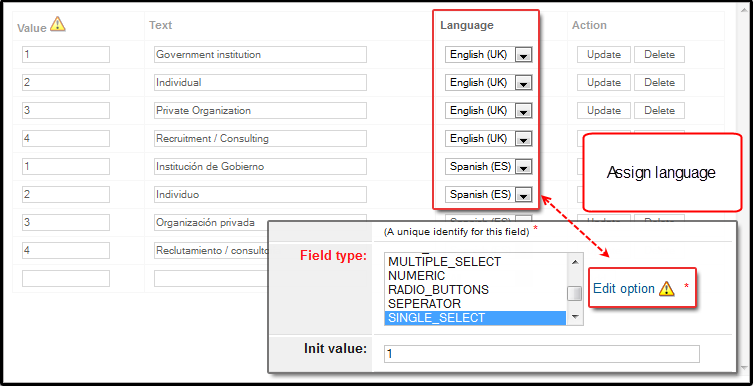 Each field in customization form is corresponding with one column of database table, so we can not duplicate it as other element (jobs, subscriptions, ….) that described above..
We have done our configuration for multiple language. Now let's view some screenshots of our front-end site.